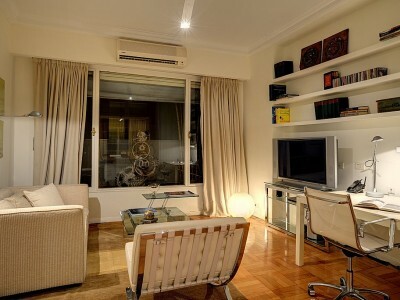 This magnificent designer decorated 185 sq. mt. (1990 sq. 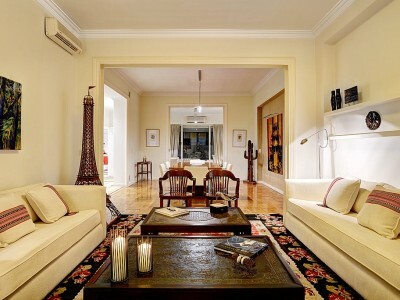 ft.) property is nestled on an outstanding French style building with 24 hours doorman security. 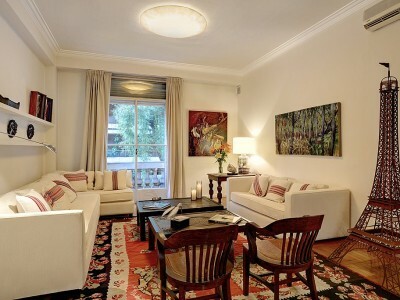 It´s ideally located in fancy Recoleta neighborhood, on Alvear Avenue, known as one of the most sophisticated and sought-after avenues worldwide. 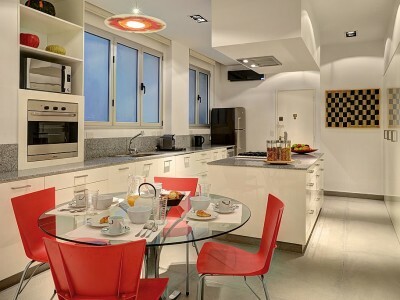 This 2 bedroom apartment stands out for its brightness, its ample rooms and its elegance. 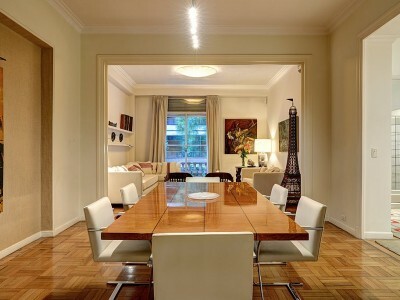 A private foyer leads to the wide reception area which consists of a double living room, an office and a dining area, featuring antiques and fine arts, wonderful views to the Alvear Avenue, impeccable oak floors and high ceilings. A hall leads to the bedroom area that has two ample bedrooms. 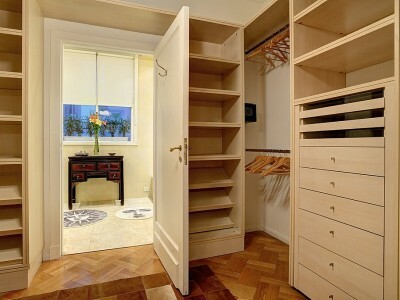 The main bedroom is en-suite, has an enormous walk-in closet and a King-size bed. The second bedroom has also a King-size bed. Bright and welcoming recently remodeled kitchen equipped with top grade appliances and furniture with great storage space. Two luxury bathrooms, plus a reception toilette and an extra bathroom near the kitchen. Laundry room in-unit. It occupies the first floor of an elegant building from the 1920’s and is just steps from the Alvear Palace Hotel, the Duhau Palace/Park Hyatt Hotel as well as the city’s best restaurants, upscale boutiques and cafes, including the exclusive Patio Bullrich Shopping Center. The famous resting place of Evita – the Recoleta cemetery – art galleries, museums and cultural centers are all within walking distance. 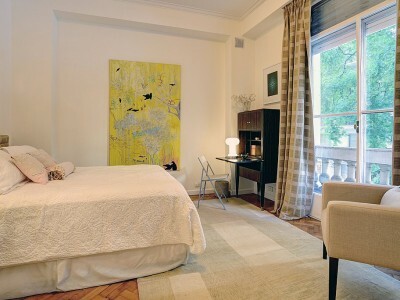 If you are looking to live in luxury while in Buenos Aires, this ultra-posh property is for you. These rates are final in USD; they include: building expenses, local phone calls control line for limited local calls, cable TV, electricity, water, gas, internet Wi-Fi, cleaning service once a week and taxes. Rates shown above are only until Sept. 30th. Rates for high season are $1790 USD/Week & $5400 USD/Month. Please note: Rates from December 20th to January 5th are 20% higher for this apartment.